Educating teachers is one of the most historically significant jobs of the American higher education system. Many colleges and universities today began as simple “normal schools,” academies for public school teachers to learn their work in the late 19th and early 20th centuries. Today, most major institutions have some form of teacher education, whether through a college or school of education, or within other departments. Of course, teacher certifications differ from state to state, so most students find it more convenient to attend a college or university in their home state, which will already be set up for the requirements of that state’s teacher certification. Most education major programs are designed to end in certification, but not all; read the program requirements carefully, and consult with the school in depth before committing. As always, our goal is to find the perfect balance between quality and cost, making it simple for you to see just what you’ll need to put into an education, and just what you can expect to get out of one. 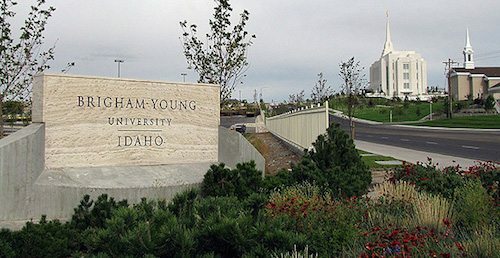 A top 15 regional university for the west, Brigham Young University – Idaho has everything it takes to get to the top of the Value Colleges Best Value ranking – low tuition rates (less than $2000 per semester for LDS members), solid reputation, and strong return on investment. BYUI has been around since 1888 (as a Mormon junior college, Ricks College) and its educational quality is attested through years of graduates, with strict Mormon moral codes keeping the focus on academics. Students may earn a bachelor’s degree in Early Childhood Education/Special Education or in Elementary Education, with an option to choose coursework in Secondary or Special Education as well. While most of the student body is LDS, students do not need to be members of the church to attend, and many students are attracted by the safe campus life and popular winter sports. At such reasonable tuition rates, BYUI is an obvious value. The nation’s #14 public university according to U.S. News & World Report, the University of Florida has the top-ranked College of Education in the state and a top 50 for the world. That’s not too shabby, considering UF’s tuition (around $260 per credit for Florida residents) is among the lowest you’ll find at a major public research university. UF’s College of Education offers Bachelor of Arts in Education degrees in Early Childhood Education and Elementary Education, as well as minors in Math, Science, Disabilities in Education, and more. Residential students rate UF and Gainesville high in quality of life, with strong Greek Life, recreation, and social scenes, making the University of Florida a destination for student life and future career. The Long Beach, Los Angeles region, and Orange County, CA, generally, is an area known for racially and economically diverse populations, and Cal State Long Beach is known for making education accessible to all levels of that population. They accomplish this accessibility by keeping the lowest tuition of any Cal State member, only $5400 per year for California residents, and by maintaining one of the most diverse student bodies in the nation. Their commitment to making education available to everyone has led to accolades from the Princeton Review and others as a college value. Students can earn a bachelor’s degree in Liberal Studies: Integrated Teacher Education Program from the College of Education, with the option of further specialization in Special Ed, Spanish Bilingual Authorization, and more. 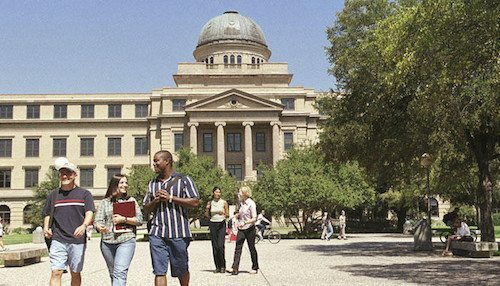 Recognized as a top value by the Princeton Review and the Wall Street Journal, Texas A&M University is the fourth-largest university in the US for a reason – it has a combination of affordability and reputation that attracts students looking for an education that won’t put them in lifelong debt. With a top 40 College of Education and Human Development, Texas A&M offers undergraduate degrees in Early Childhood-Elementary, Middle Grades Math/Science or Language Arts/Social Studies, and a minor in STEM for extra specialization. With tuition at less than $3000 per year for Texas residents, it’s an investment that will pay off painlessly. 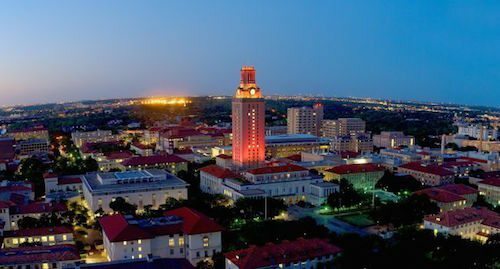 With the reputation of a Public Ivy – a public university with the prestige and quality of the Ivy League – UT Austin is one of the most impressive public institutions in the nation, with a College of Education consistently ranked at the top. The College of Education offers undergraduate programs in Special Education, Early Childhood, Elementary, and more, with specialization in areas suited to Texas and Austin, such as Bilingual education and Urban Teachers. Students are drawn to Austin for the university and city’s unique atmosphere as well as the top-quality education, making Austin one of the most popular cities in the world, so take your time finishing that degree – it’s a great investment in any case. 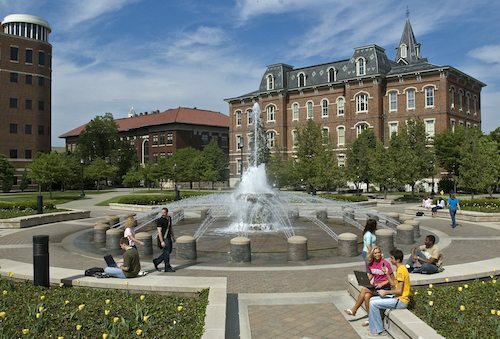 One of the most recognizable names in American higher education, Purdue University, in West Lafayette, IN, is widely considered one of the best public research universities in the nation, a consistent top 50 on U.S. News & World Report rankings, with a top College of Education as well. Best known for agriculture, aviation, and engineering, Purdue’s College of Education is also one of the oldest colleges in the university and considered the best in Indiana. Purdue’s College of Education offers an exceptional number of specialized teaching majors, including Biology, Chemistry, and Engineering Teaching, as well as general majors in Curriculum & Instruction and Educational Studies. With affordable tuition and a degree with high job market name brand, Purdue is a top value college choice. Appalachian State University, in Boone, NC, has been recognized by U.S. News & World Report as a top 10 regional university for the south consistently for years, thanks to the proven quality of their education. The combination of quality and affordability has also given the Princeton Review and Kiplinger’s reason to consider ASU a best value. App State’s Reich College of Education is one of the foremost education schools in the south, with five departments and numerous undergraduate majors in early childhood, elementary, middle grades, and secondary education, with many specializations in each. Undergraduates can also major in Career and Tech Education, Special Education, and more, making Appalachian State a source of specialized degrees not available anywhere else, for a tuition of less than $2000 a semester. 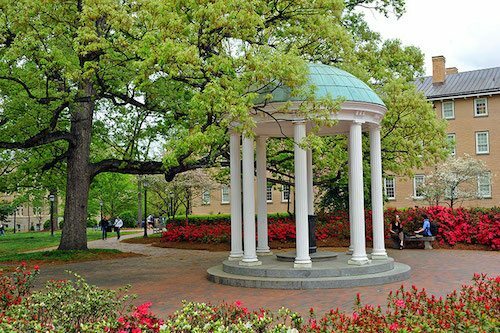 One of the oldest public universities, and one of the original schools named “Public Ivies,” the University of North Carolina at Chapel Hill is one of the most prestigious universities in the US. It’s also Kiplinger’s top college value, a distinction won by UNC’s reasonable tuition rates and high job market value. UNC is currently redesigning their undergraduate degree program to offer an increasingly popular 5-year bachelor to master’s program, but the School of Education still offers a bachelor degree in education for biology, chemistry, geology, mathematics, and physics, as well as a music education BM. For North Carolina teachers, UNC is still the top pick for an education degree. 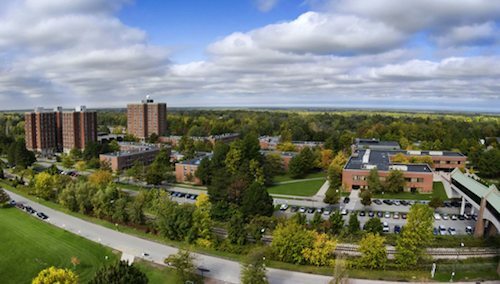 Part of the globally-respected State University of New York system, SUNY New Paltz is one of U.S. News & World Report’s top 20 regional universities and one of Kiplinger’s best values, thanks to a combination of educational excellence and reasonable tuition. New York residents pay just $270 per credit hour to earn a degree from one of the most respected names in higher education. 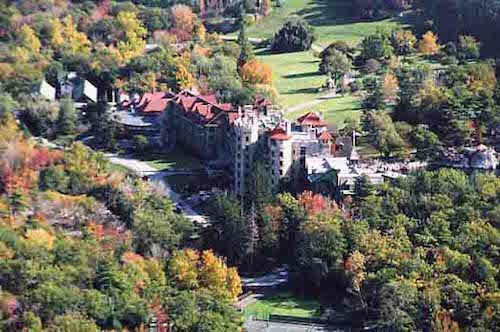 New Paltz’s School of Education offers bachelor degrees in Elementary and Secondary Education. With the job market value of the SUNY name, and an affordable cost, New Paltz is a proven top 10 investment. The University of Washington – located in tech hub Seattle – is a top 20 public university according to U.S. News & World Report, with some of the most respected faculty and programs in the world. 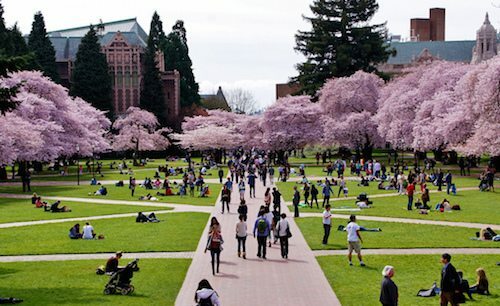 But it’s the balance of great educational quality with affordable tuition that makes the University of Washington a top 10 value college for education. UW’s College of Education offers a Bachelor of Arts degree in Early Childhood & Family studies, as well as degree completion programs. With tuition at under $350 per credit for Washington residents, it’s a solid value that will pay off in the long run of your career. With alumni including Jerry Seinfeld and Paul Simon, built on the site where Walt Whitman once taught in a one-room schoolhouse, CUNY Queens College has an interesting legacy. One of the senior colleges of the City University of New York, Queens College is a diverse and highly respected regional public college, a consistent top 10 for U.S. News & World Report and the Princeton Review. As a public university, Queens College is an important force in training new teachers for New York, and offers many undergraduate degrees for New York certification, including Science Education, Physical Education, Music Teacher Education, and others, at a tuition rate that is only around $200 per credit. In fact, the Division of Education at CUNY Queens College has graduated more teachers, principals, and counselors than any college in the New York metropolitan area. Now that’s impressive! Like its Research Triangle rival UNC (#8), North Carolina State University is a leading producer of teachers for the state of North Carolina. As a land-grant public research university, the largest in the state, NCSU is dedicated to making education accessible to the people of North Carolina, with affordable resident tuition and copious options for majors. The College of Education offers dozens of undergraduate degree programs leading to NC licensure, both on their own and in conjunction with other colleges in the university (such as the College of Humanities and Social Sciences). NCSU is a trusted name in North Carolina for education degrees, making it a smart investment for prospective NC teachers. 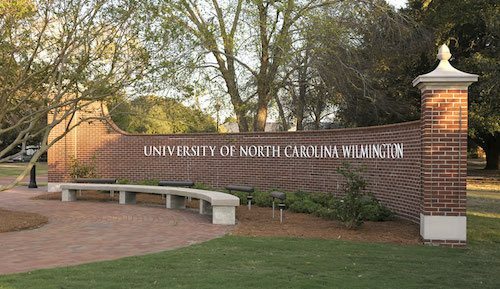 UNC Chapel Hill’s beach-loving sister, UNC Wilmington is also a destination for prospective teachers in North Carolina. Many students are drawn to UNCW for its location – beaches only minutes away – but Wilmington is a solid education investment as well. The Watson College of Education also offers numerous bachelor’s programs that lead to NC licensure, including Elementary, Middle Grades, and Secondary Education, Special Education, and more. With resident tuition only around $200 per credit, students can earn a teaching degree without saddling themselves with excessive debt, making UNCW a trusted value. Iowa State University is not only a destination for reliable, effective education; Ames, IA has been named the healthiest city in America, and one of the top five college towns in the nation. Iowa State was the very first land-grant university, jumping early at the chance to use federal funding to make a public education available to the citizens of the young state in 1864. Today Iowa State still has a commitment to providing an accessible education to the people of Iowa, with affordable tuition well under $300 per credit for residents. The School of Education offers bachelor degrees in Early Childhood, Elementary, and Secondary Education, with special concentrations in Learning Technologies and Special Education to prepare students to teach where they’re needed most. Originally founded as a normal school (the old-timey word for teacher training school) in 1909, the University of Wisconsin La Crosse has teaching education in its basic foundational building blocks. A top 10 regional university for the midwest according to U.S. News & World Report, UWLC’s School of Education, Professional & Continuing Education offers several Bachelor of Science degrees in teaching, including Early Childhood-Middle Childhood, Middle Childhood-Early Adolescence, and Early Childhood-Early Adolescence, with the option to specialize in areas such as art, music, and languages. Tuition is modest, making UW La Crosse a compelling choice for Wisconsin’s future teachers. 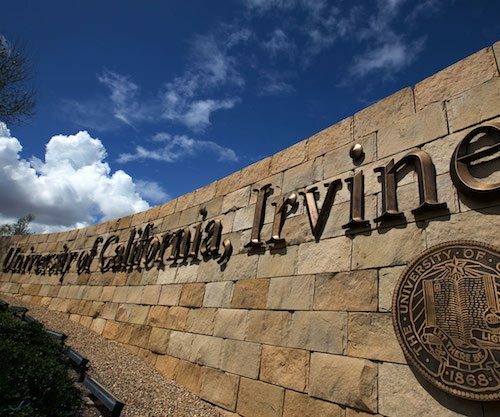 Part of the world-renowned University of California system, UC Irvine, like UNC (#8) has the stamp of a Public Ivy, a highly respected interdisciplinary faculty, and a top U.S. News & World report ranking for the School of Education among California institutions. Students can earn a Bachelor of Arts degree in Education Sciences, with specializations including Early Childhood, After-School, Digital Media & Learning, and more. UC Irvine’s education program emphasizes learning in and out of the classroom, as well as research and evaluation, preparing prospective teachers for the complex future of education. 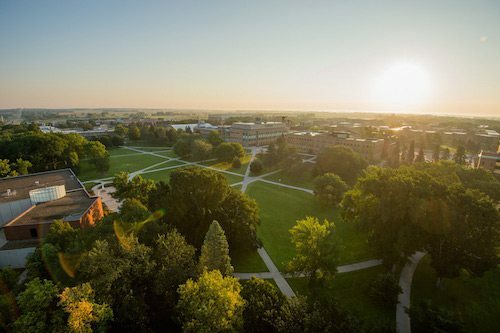 A top U.S. News & World Report public regional university (#2 for years), the University of Northern Iowa is the picture of what an institution of its class should be – a solid research university providing high-quality degrees to the citizens of its state. Founded, like UW La Crosse (#15) as a normal school, UNI’s Teacher Education program still offers top-quality teaching instruction and training in over 20 majors, including the sciences, art, and uncommon specializations such as Communication-Theater. At well under $300 per credit, UNI is a low investment in the future of your career, and your future students’ education. With Iowa State (#14) and the University of Northern Iowa (#17) also coming in on the Value Colleges ranking, it’s clear that the state of Iowa is doing something right with undergraduate education degrees. The University of Iowa, in Iowa City, is a Fiske’s Best Buy and a U.S. News & World Report top university, with the College of Education often singled out for excellence. The College of Education offers undergraduate degrees in Elementary Education and Secondary Education, each with numerous specialized endorsements such as Speech Communications, Developmental Reading, Coaching, and many more. 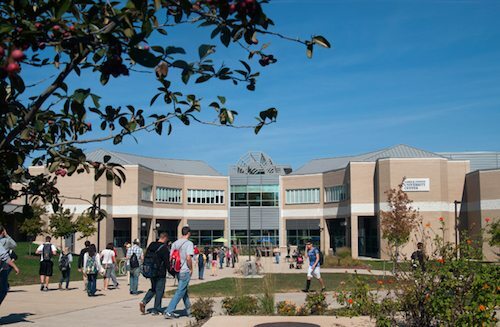 With its sister institution in the California State University System, Cal State Long Beach (#3), Cal State Chico has high marks as a public regional university from U.S. News & World Report. 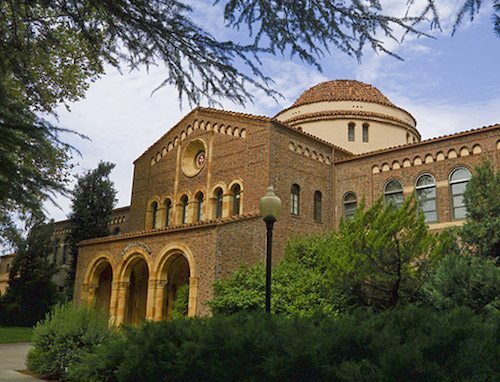 Chico offers students a diverse, culturally-rich atmosphere and top-quality education, including the programs offered by the School of Education. The School of Education offers undergraduate degrees with multiple specializations, many designed to help train prospective teachers in ways to make education more accessible for students by confronting disability, economic need, or other factors. Tuition is exceptionally low for California, making CSU Chico a destination for a college value. Florida State University, in Tallahassee, FL, is a top 50 public university, ranked by the Princeton Review and USA Today as a top value. 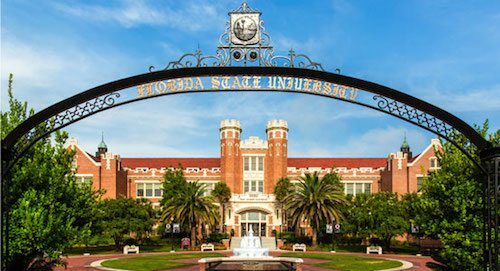 With tuition at an amazingly low $215 per credit for Florida residents, it’s no surprise that FSU is one of the most popular destinations for students in the area. The FSU College of Education, one of the most respected in the south, offers bachelor degrees in Early Childhood and Elementary Education, as well as less common specialties such as Exceptional Student Education, Social Science Education, and Visual Disabilities. FSU offers an undeniable value to students. 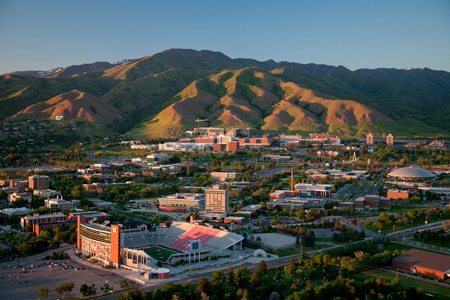 The University of Utah pre-dates Utah’s statehood, having been established when the state was still frontier, and U of U has been blazing trails ever since, whether as one of the original four nodes of the ARPANET (the original internet) or as a leader in environmental sustainability and renewable energy. The College of Education is a leader too, especially in Special Education, offering Bachelor of Science degrees in Mild/Moderate Disabilities, Severe Disabilities, Deaf and Hard of Hearing Education, Visual Impaired, and more, as well as BS degrees from the Urban Institute for Teacher Education. At a low public-university tuition rate, Utah offers a competitive investment for future teachers. In a relatively short period of time (since moving to Stony Brook in 1962), the State University of New York at Stony Brook – or Stony Brook University, if you’re pressed for time – has emerged as one of the best public universities in the US, and one of the top 100 overall. Stony Brook’s Professional Education Program offers a number of accredited degrees in early childhood, elementary, and secondary education, including secondary education specializations in English, Foreign Languages, Math, TESOL, and more. 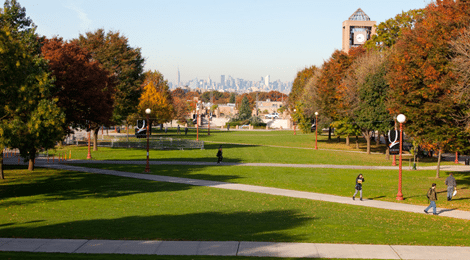 Stony Brook’s low tuition makes it one of the best deals in New York. With roots dating back to before the Revolutionary War, the University of Delaware is one of the most established and accomplished public universities in the US. A mid-sized research university in Newark, DE, the University of Delaware’s School of Education offers a bachelor’s degree in elementary education, with concentrations available in English as a second language; Middle School Math, Science, or Social Studies; Special Education; and Urban Education. At around $468 for Delaware residents, the University of Delaware keeps bachelor’s education affordable, and a bachelor to master’s program can allow students to complete a master’s degree with just one more year of courses. Like its sister institution in the University of Wisconsin system, La Crosse (#15), UW Eau Claire was founded as a normal school, educating teachers since 1916. 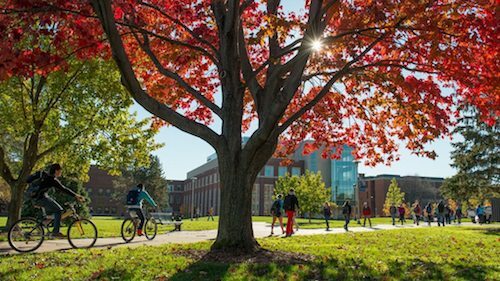 Eau Claire is distinguished by U.S. News & World Report as a top 5 public university in the midwest, and a top 50 overall, thanks to a solid reputation for educational quality, while its reasonable tuition rate puts it on the Princeton Review and Kiplinger’s lists of best values. UWEC’s College of Education & Human Sciences offers bachelor’s degrees in Early Childhood, Elementary, Secondary, and Special Education, providing Wisconsin teachers an affordable grounding in their profession. Considered by many to be South Carolina’s premier public research university, Clemson University inspires furious loyalty in its alumni. Recent years have seen Clemson embarking on a dedicated campaign to become a top 20 public university, a goal they have nearly reached in just a few seasons. The Moore School of Education offers numerous bachelor degrees in areas such as Agricultural Education, Early Childhood, Elementary, Special Education, and more. As Clemson’s profile increases, students may find that degree has more strength on the job market as years go by. From the beloved college town of Athens, GA – where a tree owns itself, bulldogs are treated like royalty, and the “Rock Lobster” was born – the University of Georgia is the flagship university for the state and one of the three oldest public universities in the US, and teacher education has been at the center from the beginning. The College of Education is one of the most diverse and respected in the nation, offering 14 Bachelor of Science in Education majors and a number of dual degrees, with specializations such as Communication Sciences and Disorders, Athletic Training, and traditional elementary, secondary, and so on. One of the deep south’s premier institutions, Louisiana State University is a major public research university in Baton Rouge, LA, having the distinction of land, sea, and space grant status and a slot in the top 75 of U.S. News & World Report’s public universities. The School of Education offers Bachelor of Science degrees in Elementary Grades Education and PK-3 Teacher Education, the latter a unique cohort system in which students move through the program together for greater support. With tuition at low as $250 per credit for residents, LSU offers an incredibly low-cost investment in your teaching career. 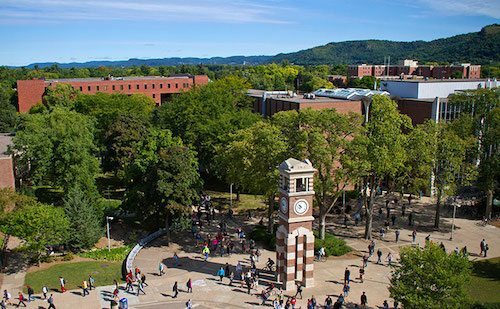 The University of Wisconsin-Whitewater, like its partners in the UW system La Crosse (#15) and Eau Claire (#24), is a mid-sized regional university with the mission of providing an affordable, accessible education to the people of Wisconsin. 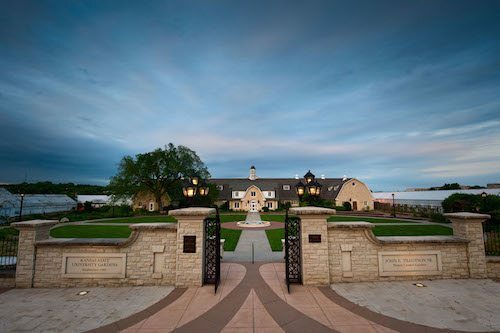 With reasonable tuition (around $270 per credit for Wisconsin residents), UW Whitewater puts a bachelor’s degree well within reach, including the more than 20 education majors offered by the College of Education & Professional Studies. Everything from Art and Biology to Special Education and Theater are available. Originally a teacher education school, San Diego State University today is a major urban research university with one of the most diverse student bodies and a reputation for social mobility and value. Unlike other universities, SDSU offers a Liberal Studies major for future teachers, rather than an education major, but paths are set for concentrations in areas such as special education, bilingual education, and more. With a low tuition of less than $250 per credit for California residents, SDSU is a solid investment in teacher education. A public land-grant university in Morgantown, WV, West Virginia University has been educating teachers from its founding, and the College of Education and Human Services is West Virginia’s most trusted and respected school of education. Students can earn bachelor degrees in Child Development and Family Studies, Elementary Education, Education and Human Services, Speech Pathology and Audiology, or choose a 5-year bachelor to master’s program. With tuition only $266 per credit for WV residents, WVU is a serious value. A U.S. News & World Report top-100 public university and top-50 value, Oklahoma State University is a major research institution in Stillwater, OK. OSU’s College of Education may get the most attention for its status as one of the only colleges in the nation to offer Aerospace Administration and Operations as a program, but it offers more conventional education degrees as well, including a Career and Technical Education program that has been ranked in the top 10 by U.S. News & World Report. Other paths include Elementary and Secondary Education, Physical Education, and Health Education, all for a low tuition rate that makes Oklahoma State a trusted value. Like Wisconsin, Florida has a high number of top-value education programs, including the University of Central Florida in Orlando. 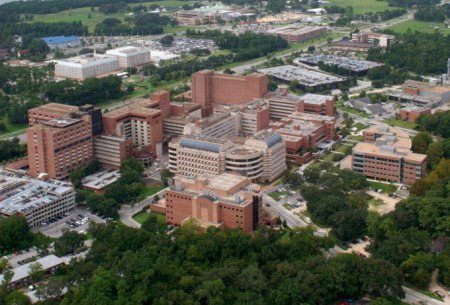 UCF is a major public research university that, from its founding in 1963, has grown into the largest undergraduate student body in the US (second only to Arizona State University in total enrollment). This highly diverse university has steadily risen in rankings for both educational excellence and affordability. The College of Education and Human Performance offers more than 10 majors, with specializations in Art, English, Social Studies, Math, and Science, as well as Early Childhood, Sport and Exercise, and more. A U.S. News & World Report top 75 national university, Indiana University Bloomington is the flagship of the Indiana University system and one of the top institutions in the midwest. IU’s combination of educational excellence and affordability, even for non-residents, brings students from all over the nation. The School of Education offers many bachelor’s degrees, in majors such as Early Childhood, Elementary, and Secondary, as well as subject specializations such as Art and World Languages. 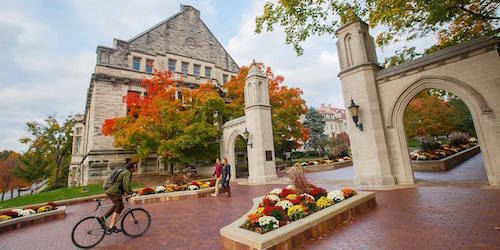 Indiana University is a recognized name on the job market everywhere, and a recognized value. 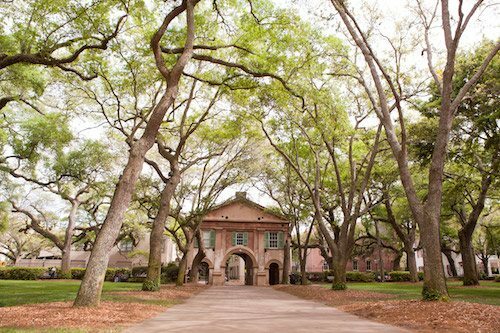 The College of Charleston just narrowly misses out on being one of the Colonial Colleges (founded before the Revolutionary War, but not actually opened until after), but that long history of excellence still makes it one of the premier institutions of higher education in South Carolina. As a public research institution, the College of Charleston offers the attention and intimacy of a private college with the affordability of a public university, including numerous bachelor’s degrees from the Department of Teacher Education. Majors include Early Childhood, Elementary, Secondary, and more. A Kiplinger’s top 100 best value college, the College at Brockport carries the State University of New York seal of approval and a reputation for solid, effective education. Recent years have seen Brockport’s reputation rise as entrance requirements have tightened and test scores have gone up. Brockport’s Department of Education and Human Development offers undergraduate degrees in Adolescence Inclusive Generalist Education (covering middle and secondary, with specializations such as language, art, and music) and Childhood Inclusive Education (covering elementary and special education). The flagship of the University of Arkansas system, and the leading higher education institution in the state, the University of Arkansas, in Fayetteville, AR, has undergone massive growth in numbers and reputation with intensive support from the Walton family and a hugely successful fundraising endeavor. These changes in the last decade have put Arkansas on the higher ed map as a solid investment, and an incredibly low tuition of less than $250 per credit makes it a value. Future teachers can earn a Bachelor of Science in Education with majors in Career and Technical Education, Communication Disorders, Educational Studies, and more. The main rival, in the number of students enrolled, for the University of Central Florida (#34), Arizona State University hasn’t become the biggest university in the US by accident. Students flock to Tempe, AZ – and online – because ASU offers the degree programs they need at a price they can easily afford and repay. ASU’s Fulton Teacher’s College offers Bachelor of Arts in Education degrees in all of the traditional specializations, and even an Education Exploratory route that allows future teachers who haven’t decided on an area to test out their preferences – just one of the kinds of student-centered touches that make Arizona State a leader. A top-tier research university in Tampa, FL, the University of South Florida is a top 100 public institution and one of the fastest-growing in the US, swiftly catching up to Arizona State and the University of Central Florida. Future teachers can earn a Bachelor of Science or Bachelor of Arts (depending on the subject area) in Education in majors such as Early Childhood, Elementary, Exceptional Child, and subjects such as Physical Education, English Education, and more – a bargain at tuition rates that begin at less than $200 per credit for Florida residents. While Arizona State gets most of the attention, the University of Arizona still edges out its rival in U.S. News & World Report rankings. As the oldest university in Arizona (founded when the state was still just the territory), the University of Arizona has a long history of providing education to the people of the west. UA’s impressive College of Education has a number of bachelor’s degrees, including teaching and non-teaching concentrations. Students may focus on Mild-Moderate Disabilities, Early Childhood, Elementary, or others. A small public university in Radford, VA, Radford University is best known for its Appalachian Studies research, and for its location in that beautiful region, but their School of Teacher Education and Leadership, part of the College of Education and Human Development, is a well-known and highly-regarded source of teachers for Virginia and the Appalachian region. Radford offers bachelor’s degrees in Elementary, Middle, Secondary, and Special Education, as well as interdisciplinary majors for students wishing to study early childhood, deaf and hearing impaired, and other specializations. Texas Tech University, in Lubbock, TX, is known for its award-winningly beautiful campus and their impressive public art collection, but, as a tech institute, they are also known for innovation and experimentation. Undergraduate education majors at Texas Tech’s newly-establish College of Education learn through the experimental TeachTech, an intensive, clinical, competency-based program designed to revolutionize how teachers learn to teach. Majors include specializations in Elementary, Middle, and Secondary education. The University of Mississippi – Ole Miss, to just about everyone – is one of the most recognizable institutions in the deep south, for its historic significance and its current educational and research excellence. 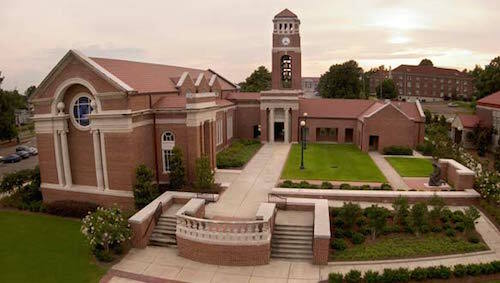 The Ole Miss School of Education is one of the premier teacher education programs in the region. Undergraduates in the School of Education can earn degrees in Elementary, Secondary, and Special Education, with numerous specializations available (such as middle and secondary subjects). The largest and most respected teacher education program in Kansas, and one of the best in the midwest, Kansas State University’s College of Education has received accolades for its clinical education, diversity, and service to underrepresented populations. Future teachers can earn degrees in Elementary or Secondary Education, with a thorough preparation in general teaching skills, specialized areas, and professional knowledge. K-State’s affordable tuition ($360 per credit for residents) only adds to its value. As a land-grant university, originally founded as an agricultural and mechanical (A&M) institution, Mississippi State University has opportunity and egalitarianism written into its spirit and mission. That’s why tuition is only $300 per credit hour, and why MSU’s College of Education is dedicated to research and service in local school districts, so future teachers get to experience the responsibilities and rewards of teaching beyond abstract classroom learning. Majors including Elementary and Secondary Education, with further specializations and certifications available. 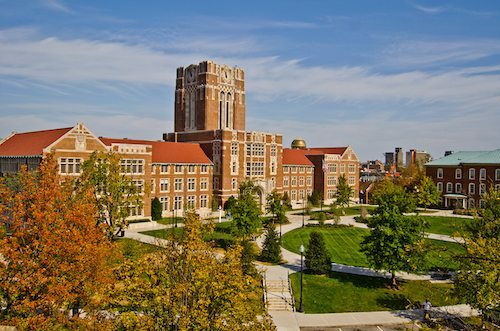 One of the oldest public universities in the US, and the first to the west of the Appalachian mountains, the University of Tennessee has been educating teachers since before Tennessee was a state. A top 50 public university, Tennessee’s College of Education, Health, and Human Sciences is one of the most productive and forward-thinking around. The Department of Theory and Practice in Teacher Education offers a Bachelor of Arts in Art Education, a Bachelor of Science in Special Education, and several certifications. The University of Illinois at Chicago, a major, urban, public research institution, has one of the most unique education programs in the nation. 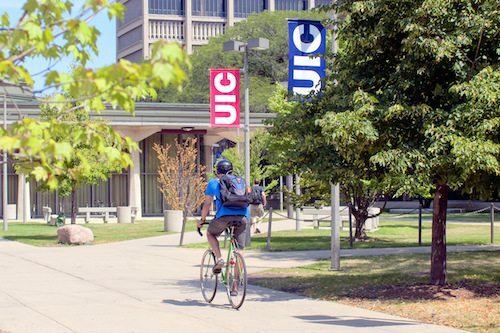 Befitting its location in Chicago, IL, UIC’s College of Education is specifically dedicated to improving education in urban areas, wiping out poverty, and providing teachers with the skills to inspire and motivate underprivileged students into the future. Undergraduates can earn a Bachelor of Arts in Urban Education (with an opportunity to specialize in middle school education as well), as well as a Bachelor of Arts in Human Development and learning. If urban education is your goal, the University of Illinois at Chicago is your best choice. Teacher education was the beginning of Texas State University, founded in 1899 in San Marcos, TX, as a normal school for public schoolteachers. In the century-and-change that followed, Texas State has grown and added many more programs, but the College of Education remains a priority. Prospective teachers can earn a Bachelor of Science in Interdisciplinary Studies with concentrations in Elementary ESL or Bilingual, middle grades, or special education, for Texas State’s low resident tuition of $330 per credit, making Texas State a solid value. With a legislative mandate to become a top 20 public university by 2020, the University of Kentucky has been working overtime on fundraising and research, growing their endowment and reputation all the while. The College of Education is working to become one of the greatest in the south. UK offers many Bachelor of Arts and Bachelor of Sciences in Education degrees, including Elementary, Middle, and Special Education; Art, Music, and Agricultural Education; Health Promotion and Kinesiology, and more. As a land-grant public institution, UK keeps their tuition moderate and affordable for state residents to increase the value of your investment. Like many of the schools on this list, East Carolina University was founded as a teacher’s college, and the College of Education is still the biggest, most successful and most respected in the state of North Carolina. In addition to publishing the Journal of Curriculum and Instruction, a national, peer-reviewed journal of education research, ECU educates the most teachers in NC. ECU offers many Elementary, Interdisciplinary, and other majors, all for a tuition of well under $200 per credit for North Carolina residents. No wonder more prospective NC teachers choose ECU. South Dakota State University is the largest university in South Dakota, a major research institution known especially for agricultural research. 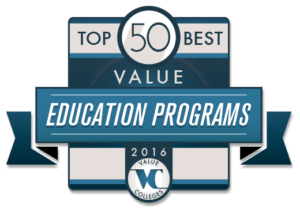 But it rounds out the Value Colleges Best Value Undergraduate Education Programs for the quality and affordability of the College of Education and Human Sciences. The Department of Teaching, Learning, and Leadership offers bachelor degrees in Early Childhood Education and Secondary Education, as well as a unique Bachelor of Science in Agricultural Education, Communication, and Leadership. Students can earn their degree for an astounding $145 per credit (not counting fees), making SDSU a value anywhere.